WELCOME TO THE SECOND WILM NEWSLETTER! To the second newsletter from WILM! Our first UK event took place at the wonderful venue Hammersmith Eventim Apollo. 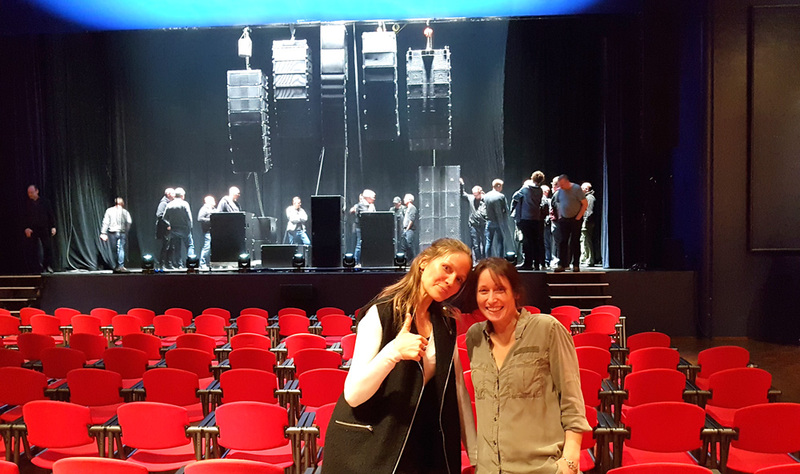 We had a tour with Alice James (technical manager) who taught us about the history of the space and later a panel discussion with some leading ladies of the live music industry: Sound, Backliner, Bookers etc. Topics of discussion ranged from internships and starting out in the industry to mental health. We had a record number of 33 attendees and it was great to meet everyone that came. We will be hosting another London-based workshop soon at another venue! We were also represented at this years SPOT+ Festival in Denmark. CEO Malle Kaas made a presentation of WILM to more than 50 people from different parts of the music industry, from not only Denmark, but many other European countries. Malle spoke about the need for WILM, and the importance of shining a light on women working backstage. The speech generated a huge interest from audience members, and a couple of meetings with representatives from other organisations were held to discuss future collaboration, with the common goal to secure more women in the production of live music. 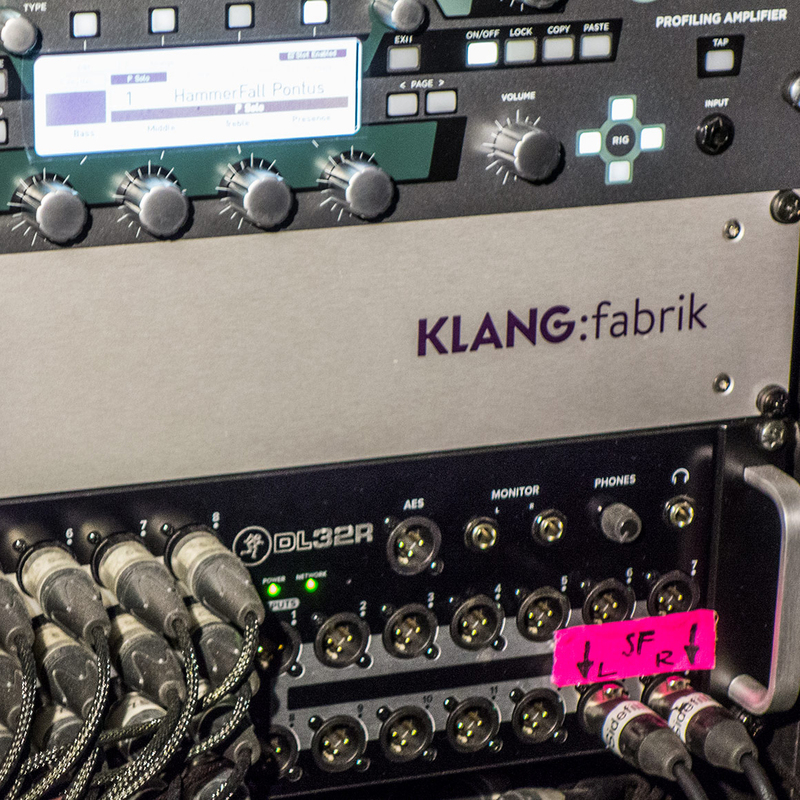 Frankfurt Pro Light & Sound We were honoured to be represented at the PLS trade show in April, invited by our friends at KLANG: Technologies. Alongside presenting WILM to many manufacturers, we had discussions with those interested, as to why there are so few women representing their industries (video, lighting and sound) at tradeshows such as this. We are currently working on a survey for a selection of manufactures to gather information as to why they think women are missing at these tradeshows – and what could be done to change the balance. We had a great time and met a bunch of WILM members, hope to see more at next year’s European trade shows. We are currently working on a meet up in Berlin. Hopefully we can soon announce a date. It will probably be around June 27th! Regarding workshops, we probably can’t squeeze many more in before the festival season kicks off. But in September we will have a workshop in Copenhagen, Denmark and London, UK with the audio company ‘Digico’. And in October we will be visiting the speaker company d&b in Backnang, Germany. Other workshops and meet up’s are in the progress, so stay tuned! However… we are not just about sound! We know there is a lot about Sound in this community. This is why, we will soon announce a couple of ‘non-sound’ people 🙂 They will help us in gathering and activating some people from other areas of production! We will also start a section, where we will be collecting blogs and interviews with members. Please write to us if you have an idea for an interview – or if you wish to write a blog for us. We are also still looking for both Mentor’s and Representatives. For the past 6 months we have been working closely with Roskilde Festival regarding a Sound Summer Camp that was supposed to be executed during beginning of July. But some weeks ago Roskilde gave us the notice that they wanted the camp to happen the week before the Festival. To WILM that would first of all mean, we had to cut back on some essential values and visions, we had for the camp. At the same time it would also give us some practical challenges that we were anticipate would give us some heavy obstacles. All in all, we told Roskilde, we wanted to stick to the dates we had been working with from the beginning. Unfortunately Roskilde decided then to drop out of the camp project last week, which mean we won’t be able to go through with the camp this year. However, both Roskilde and WILM continues to have a big wish to form a project together on a later point! The next thing is……GDPR! Well, we are sorry to bother you with this! However, dear WILM Member, If you do no longer wish to receive our newsletter every 3rd month (March, June, September & December), please tell us this, and we will then immediately remove you from this list and delete all your data, including any copies. If you continue to want to receive our newsletter, you give us the allowance to keep your email address with our web designer at ‘Designerei’ in Berlin for a maximum of 5 years. WILM is still here, and growing every day! And as we get bigger, we get stronger – we need to make the world aware of all the talented women working in this industry. And concerning the CrewlistCrewlist: For those of you who have signed up, but still haven’t sent us a picture or written a bit about yourself, please do so as your profile will look so much better with more info. All The Best for now! We wish you a great festival season!